Show us your baby's widest and cutest smile! 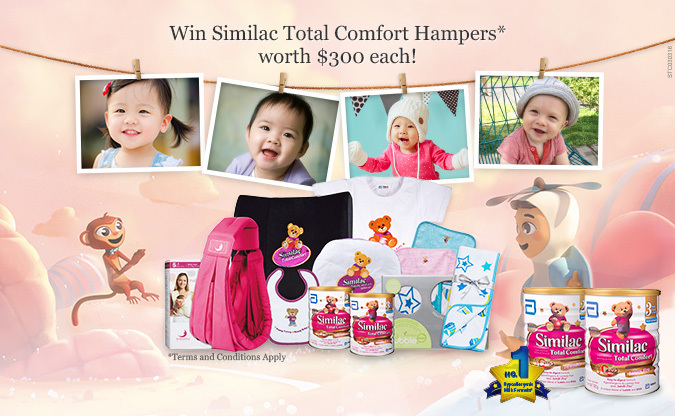 10 lucky winners will stand a chance to be featured as a Total Comfort Happy Baby plus a Similac Total Comfort Hamper. We are looking for a photogenic coverpage mummy and baby to be on our Parenting with Love booklet! 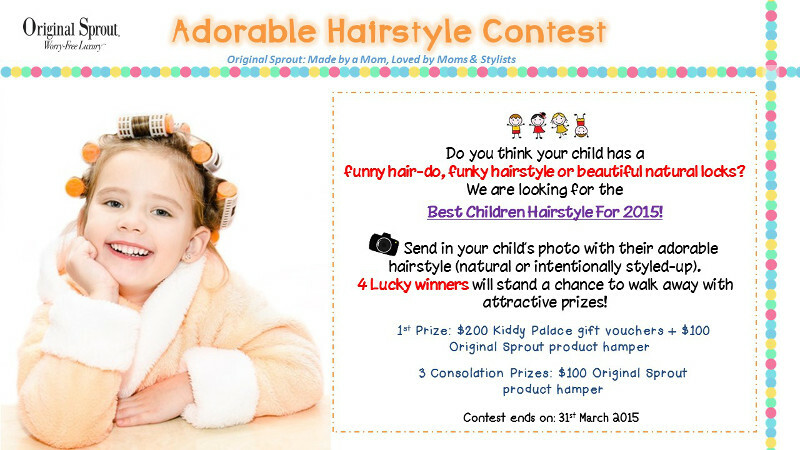 Join our Best Children Hairstyle Hunt by sending in your child’s photo with their adorable hairstyle. You stand a chance to walk away with $400 worth of prizes! 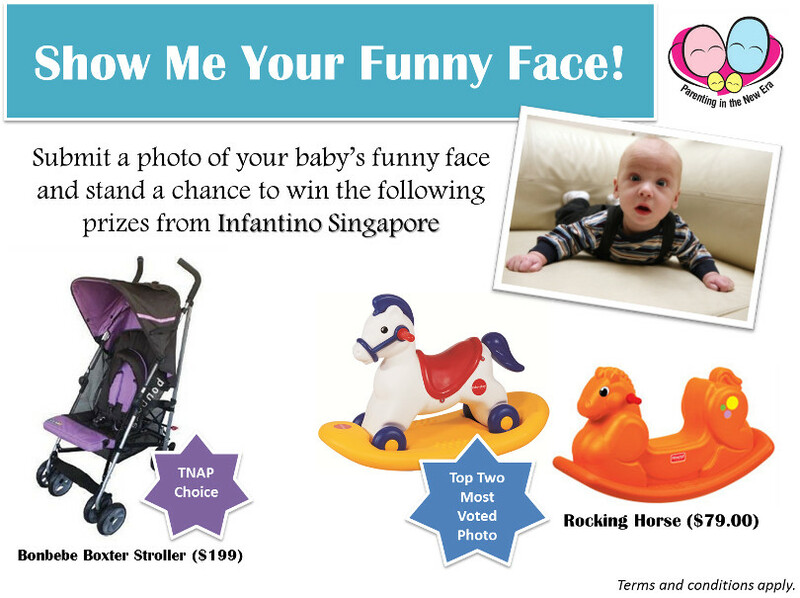 Show us your baby's funny face and stand a chance to win a Bonbebe Boxter Stroller or a rocking horse from Infantino Singapore. Take part in our Happy Halloween Photo Contest and stand a chance to win $30 Ben & Jerry's voucher. 4 sets to be won. Take part in New Age Parents Cutest Baby Contest and stand to win Evenflo Double Fun Exersaucer worth $329 or Skoot worth $99!